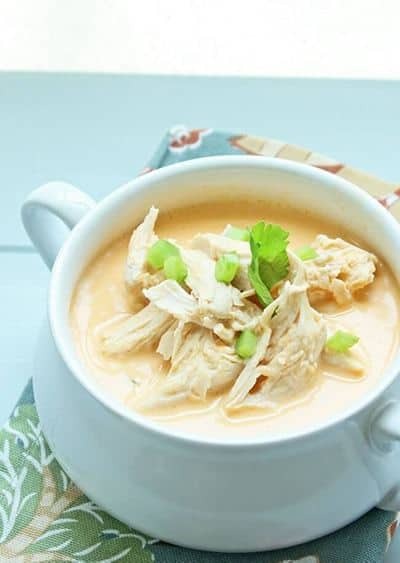 Have you found that many low-carb soup recipes take way too long to make when you get home from a long day and you need something quick, healthy and delicious? 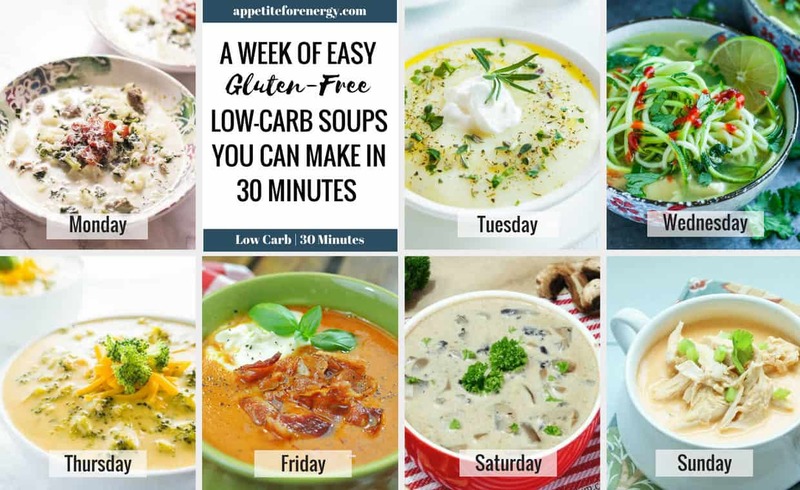 Well, I’ve had this exact complaint about soup so I’ve been determined to uncover the best quick low-carb soup recipes that do not take forever to cook. They also don’t use too many complicated ingredients. You all know by now that I am all about keeping cooking fast, easy and minimal. 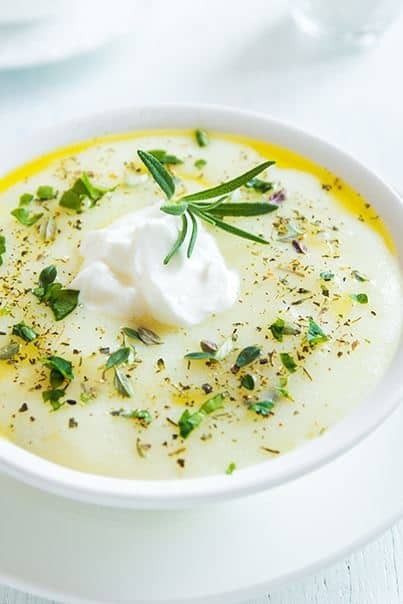 These keto friendly soups can all be made in 30 minutes or less. These recipes are perfect for cold, busy weeknights when you’ve got nothing in the fridge but a cauliflower, some cheese and cream. On weekends when you have a little more time, make a double batch of these recipes and stock up your freezer. 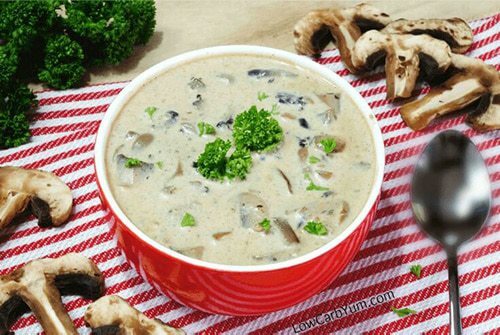 Soup can be made in large batches and frozen. I feel totally satisfied and smug with life when I know my freezer is chock full of frozen meals for myself and my family. 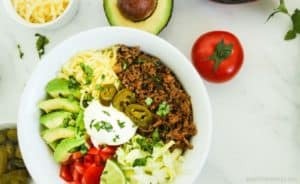 My other favorite recipe to freeze is 30 Minute Low-Carb Taco Burrito Bowl. If I can, I cook a double batch of the meat sauce and freeze the extra for another easy meal. Then all I need to do is defrost and heat the meat in the microwave, chop the tomatoes, avocado and condiments and dinner is done. Happy kids and adults! I love being able to pull these frozen meals out when I know we’ll be home later after parent-teacher meetings, swimming lessons or soccer practice. 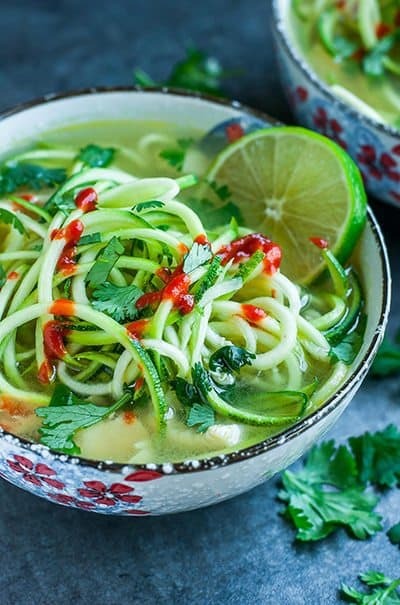 If you like 30 minute recipes, FOLLOW us on Pinterest to get access to our collection of hundreds of 30 Minute Low-Carb recipes. I like to freeze soup in Pyrex containers of various sizes. Just make sure that you don’t fill the container to the top as you need to leave some room for expansion. You can, of course, use ziplock bags too, but again, leave some space in the bag. There’s nothing more awful than having soup erupting in your freezer! Soup can be easily left in the fridge to defrost overnight. Or, if you arrive home and need a quick dinner solution place the container in a sink of hot water or use the defrost function on your microwave. Serve low-carb soup with some crusty bread to keep the carb-eaters happy. Where the soup isn’t substantial enough for my own meal or I need some protein, I like to cook a very simple piece of meat. 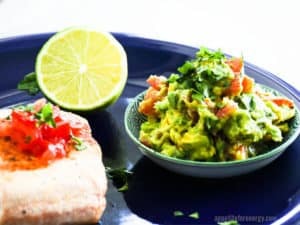 A piece of salmon can be pan-fried over high heat in under 8 minutes. Or sear a nice steak on the grill or in a fry-pan. You get the idea. Salsa, soy sauce (or Coconut Aminos), sriracha sauce, aioli, mayonnaise, chipotle mayo, low-carb ketchup and BBQ sauce (Walden’s), mustards. 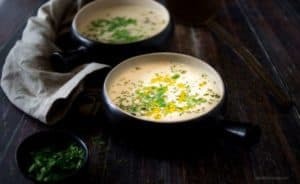 Find your favorite keto soups and you will never look back. Easy, hearty low-carb soups are here to make your weeknights a breeze. Staying low-carb has never been easier. 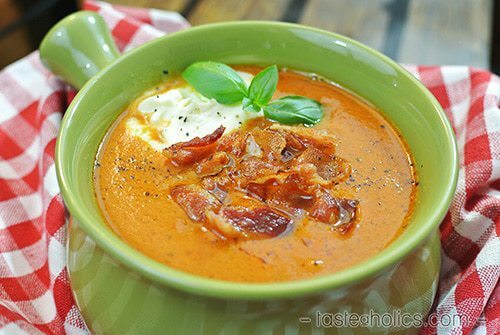 What are your favorite low-carb soup recipes? Let us know in the comments below! 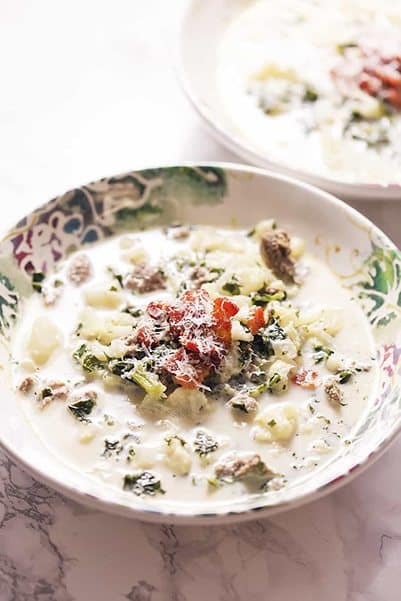 Low-Carb Soup Tip: This is a lovely, fresh soup for when you feel like something a little lighter than the usual low-carb soups. It is low in fat (5g) so you will need to add additional fat to your meal if you are keeping to ketogenic macros. I would have an avocado on the side to bump up the fat and keep me satiated. 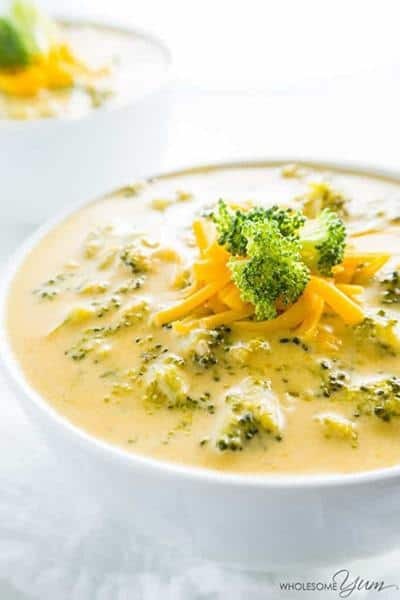 Low-Carb Soup Tip: This soup is a little higher on the carb count so a good one to have if you have kept your carbs low and don’t mind the additional carbs. Alternatively, it would be ideal for a carb up night. What is a carb up? A carb up is where you have a few extra carbs (30-50g) with your evening meal. 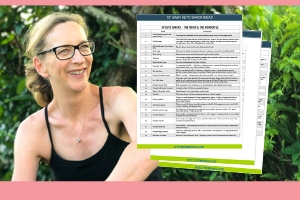 Women should do this once per week as a minimum but may find they can do this every 3 – 5 days. It will require some experimentation to see what works for you and continues to support weight loss if required. Carb ups can be more important for women but men can benefit also. It helps with hormone regulation and can actually help the weight loss process by preventing your body going into stress or starvation mode. When you have a carb up, reduce the protein in your meal, not the fats. Tip: Swap out the chicken broth for vegetable stock to make it suitable for low-carb vegetarians.